WFC Summer Showcase AND CLINIC! All players attending the Summer Showcase will receive a free tournament t-shirt! This event is a 5 game format, 4 pool games then single elimination. There are no guarantee in the amount of games a team could play. Pool games are 1 hour 15 minutes finish the inning and they can end in a tie. Score will be kept to seed for the bracket. Teams must turn scores in, check online. If the weather forces a game to stop, 5 innings will make the game official. Once the bracket is seeded, it will not be changed. Bracket games are 1 hour 15 minutes. Championship game is 2 hours. Run rules is 12, 10, 8. Any game after 5 full innings is a complete game. Pool play result are seeded by 1.Record which is wins, ties, loses, Head to Head, % of winning Runs Allowed, Runs scored. Will go to a coin flip if still needed. WFC does require that all parents, fans, coaches, and players be on their best behavior while attending the WFC Summer Showcase. WFC will not tolerate any unpartisan like behavior. Anyone who shows that they cannot control their behavior in a proper manner will be asked to leave the complex immediately or the police will be called. Coaches are responsible for thier players, assistant coaches, and fans. WFC Summer Showcase schedule will be posted TBA. Everyone should realize the schedule is subject to change by teams dropping out, or adding teams, rain, lights not working, field damage, games going into extra innings, mistakes made in schedule, or many more reasons. Therefore teams should anticipate the possibility of late games any night and the tournament format can be changed. PLEASE CHECK THE SCHEDULE BEFORE AND DURING THE TOURNAMENT. Updates will be kept online under WFC Blog for scores, schedules and weather changes. In case of catastrophic occurences such as but no limited to hurricanes, fires, flood, etc a tournament may be canceled due to the safety of all teams and families. If cancelation occurs, teams will pay a $200.00 charge for event costs. 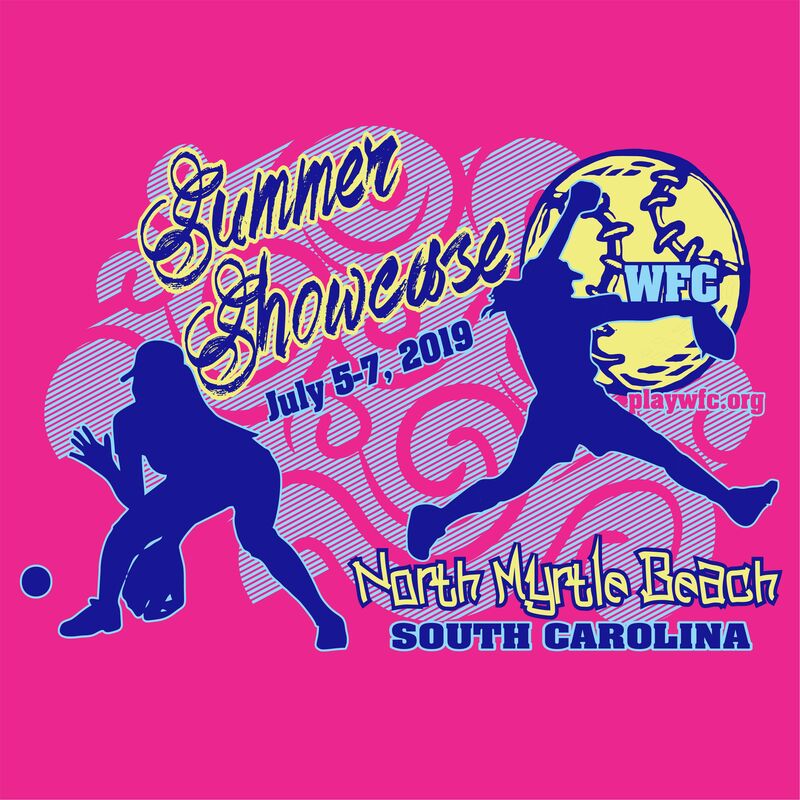 We hope that you will join us for a great weekend of softball in beautiful North Myrtle Beach!!!! Teams must pre-pay to be posted and put in the schedule. These rates are non-commissionable and are subject to all hotel occupancy taxes in effect at the time of arrival. Quoted rates are based upon 1-2 adults, per room and no more than 4 persons total in a room. A charge of 10.00 per additional adult will be added, for more than 2 adults in all room types. All of our rooms are non-smoking. A fee will be charged if smoking occurs in room. Inside Efficiency: This room has two queen beds. No View. Two separate rooms, each with one queen bed. Full size refrigerator and microwave. One TV. This room has two queen beds. Side view with private balcony. Small refrigerator, stove and microwave. This room has two queen beds. Oceanfront with private balcony. Small refrigerator and microwave.